Well better late than never right?? I am FINALLY getting around to posting some of my favorite pictures from our trip to Florida back in June (insert the slap your face emoji). 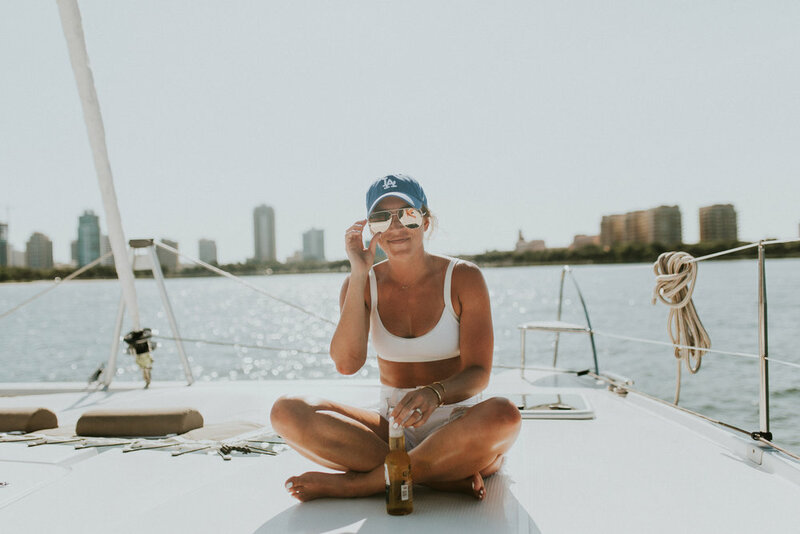 We took a day and decided to go sailing and it was SO much fun! I really is hard to disappoint me when there is sunshine and ocean air, but this really was a fun experience. 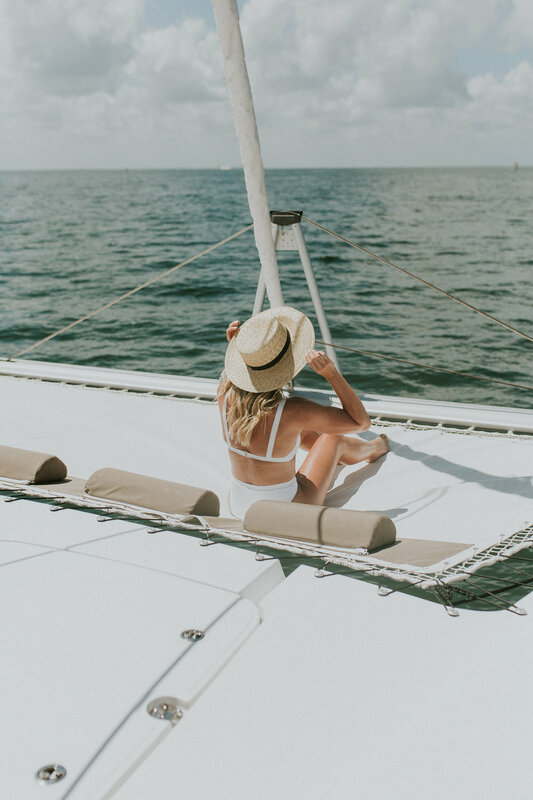 Jon Luke and I have sailed before when we went to Greece last year, but this adventure in Florida was fun because we had the boat to ourselves and my dad was with us! Going back through these images definitely has me excited four our last beach rendezvous this weekend...I am just praying for good weather! This L*Space bathing suit has become one of my favorites (if not my favorite). I just ordered it in a burnt orange color and I am super excited about it. The high-waisted style has become a standard for me, but I love how these bottoms come higher on my hips. They make my legs look/feel longer and I love it. The ribbed material is perfect, giving me good coverage even in a white suit. This style also comes in black, so maybe I need a third color! Anyways...we had SO much fun out on the boat while we were in Florida, I really wish I could do this day over again!